- WWE has a new poll asking fans if Charlotte Flair stole Becky Lynch's thunder on this week's SmackDown. As of this writing, 80% went with yes while the rest went with no. As noted, Flair returned and defeated SmackDown Women's Champion Carmella in a non-title match, earning a spot in the title match at SummerSlam with Becky. 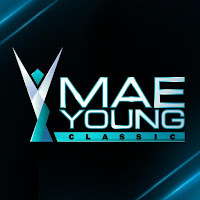 - Fan favorite "Alpha Female" Jazzy Gabert revealed on Twitter that she will not be working the 2018 Mae Young Classic. Gabert was eliminated in the first round of the 2017 tournament by Abbey Laith. She then worked a MYC six-woman tag team match, teaming with Kay Lee Ray and Tessa Blanchard to defeat Sarah Logan, Marti Belle and Santana Garrett. Fans were hoping to see Gabert sign with WWE but the company rescinded her contract last December after it was discovered that she had three herniated discs in her neck. Gabert underwent surgery earlier this year and was cleared to return to the ring just last month. She has stated that she was not giving up on a possible career with WWE. As you by now might know, I will not be at the #myc this year! The hope was high, I saw your tweets. Thank you for your support! Wishing all the fantastic girls on the Tournament lot of success and most of all FUN!